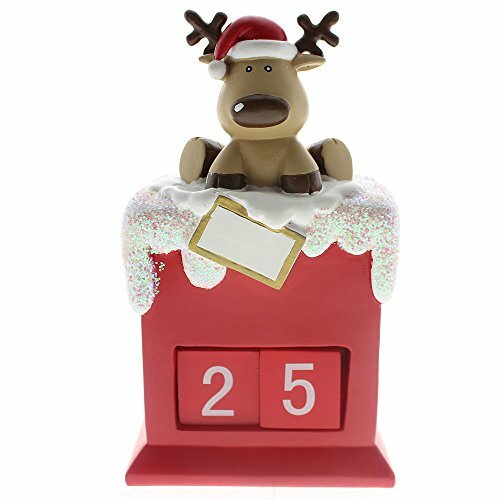 Christmas Countdown,Countdown to Christmas Reindeer Calendar Good for Christmas Decoration,Made of Resin by SMYER at Two Clock. MPN: unknown. Hurry! Limited time offer. Offer valid only while supplies last. Every countdown calendar is hand-painted by our artisan. Exquisite design with shinning glitter decoration. You can countdown to Christmas with this lovely reindeer. This calendar can be used month after month. If you have any questions about this product by SMYER, contact us by completing and submitting the form below. If you are looking for a specif part number, please include it with your message.